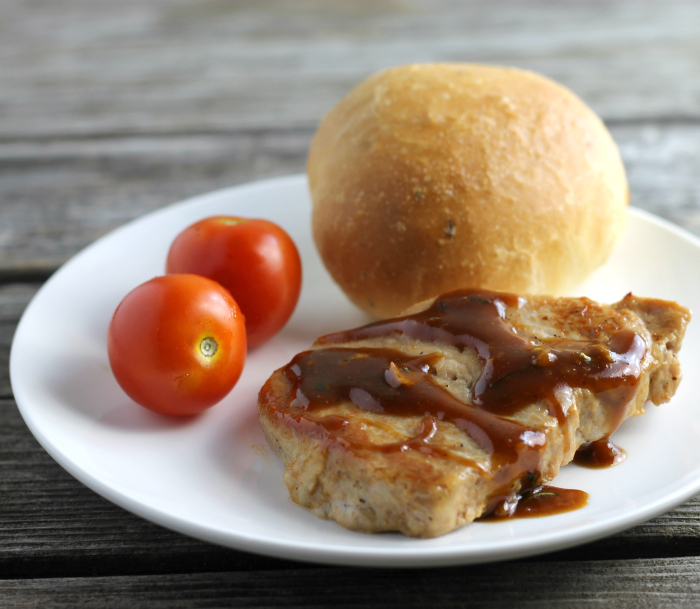 Pork tenderloin cut into chops and topped with a sauce for an easy delicious dinner. 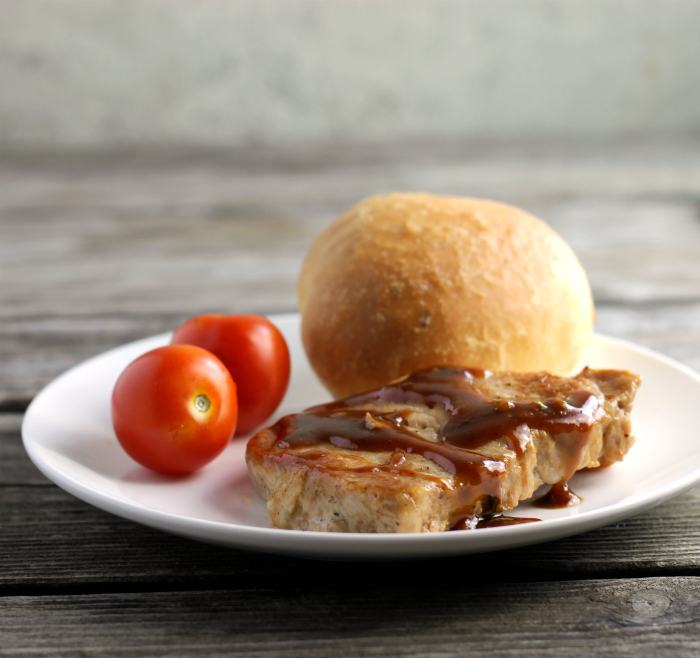 This Delicious pork loin chops with honey Dijon sauce is sure to please. If you ask me what my favorite cut of pork is, my answer would be pork tenderloin, hands down. What we usually do is buy a whole pork tenderloin when it is on sale and then cut it into pieces and freeze it. That way we don’t have to cook the whole thing at one time. It works great doing it this way. Of late I find myself cutting the tenderloin into chops, I like to fry them with a little salt and pepper and serve them with yellow mustard or maybe Dijon mustard. Simple, quick, and I think quite delicious. This time around I went all out, well maybe not all out, I still kept it quite simple. 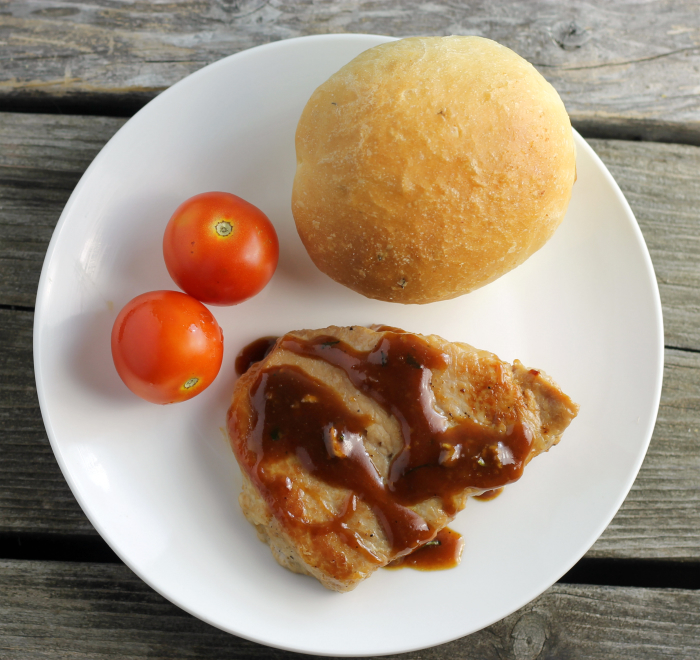 I made a simple sauce, to pour over the pork loin chop to liven things up a bit. The sauce actually has five ingredients in it, yep only five. Dijon mustard, honey, minced garlic, thyme, and wine. It turns a plain Jane chop into something that is mouthwatering. I have found that I like to add wine to some of my dishes, but I don’t like to buy a large bottle of wine, it would take me forever to use it up. So here is a little tip that I like to do. When you go into your favorite liquor store find the little sample bottles, they work perfectly when wanting a small amount for cooking. They don’t take forever to use up. I have made this sauce a couple of times for different members of our family and you know they all just loved it. Even our oldest daughter, who happens to be the fussiest kid in our family liked this pork loin chops with honey Dijon mustard sauce. When Lisa likes something I know that it has to be good. In a skillet heat olive oil over medium heat. Season one side of the chops with salt and pepper to taste. Place the seasoned side of the chop down into the skillet. Season the top side with salt and pepper to taste. Brown the chop for about 2 to 3 minutes, flip the chop and continue to brown the other side. Reduce heat, cover, and continue to cook until juice runs clear. Remove the chops from the skillet and plate. Add the Dijon mustard, honey, minced garlic, thyme, and red wine to the drippings in the pan. Cook only one to three minutes, until sauce thickens slightly. 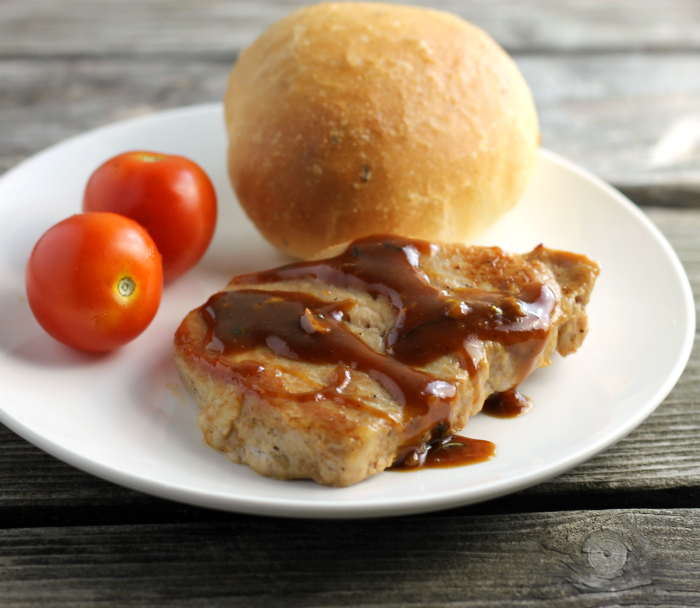 Pour sauce over pork loin chops and serve. It looks like a very delicious meal, Dawn. The pork loin looks very juicy and tender. Back when I ate a little bit of this meat, we did the same thing, buy the whole thing and part it out. Love the savings. Great photos. We love pork around here, too, and your honey mustard sauce sounds fabulous! Perfect way to jazz up simply cooked chops! Looks juicy and delicious. Lovely share! Great tip on the wine, Dawn! I love a good pork chop…so simple and easy to prepare for dinner. That honey dijon sauce of yours sounds amazing, too! Perfect for an easy, tasty weeknight meal!